Last spring, I signed my husband up for the Big Green Egg test drive (aka cooking class) at the Kitchen Shoppe in Carlisle. This would be his first class and of course I signed him up because I really wanted a Big Green Egg (BGE). The BGE is exactly that – a fabulous way to cook, bake, grill, smoke, saute anything – I mean anything. You can do everything you would do on a stove top, grill, oven or smoker in one place. And so much more delicious. So, after this class – we walked away with the large size BGE and some of the many choices of parts and tools that one needs. We promptly used it the very next weekend and we fed 30 friends and neighbors. Yum! This prompted one of the attendees to go get her own BGE for her husband. I watched them receive their delivery and together we have shared many stories of our BGE experiences. 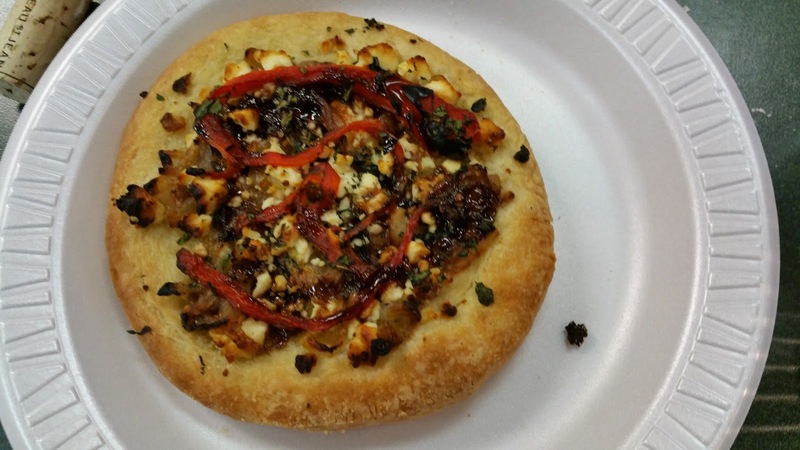 Last night, Maggie (my BGE compatriot) and I went to one of the cooking school’s BGE pizza making classes – led by Janice Goff. What a treat. We learned to make dough from scratch and we learned how to properly kneed, stretch and form the pie. We learned about all the toppings and how to properly layer. We learned about the differences in techniques and outcomes between a traditional oven and BGE pizza. We made one of each and ate both – both were terribly good….but, the BGE pizza crust was just so much better on the chew and flavor factor. We went home with extra dough that I will be firing up the BGE this weekend – to make my first BGE pizza at home, flying solo. 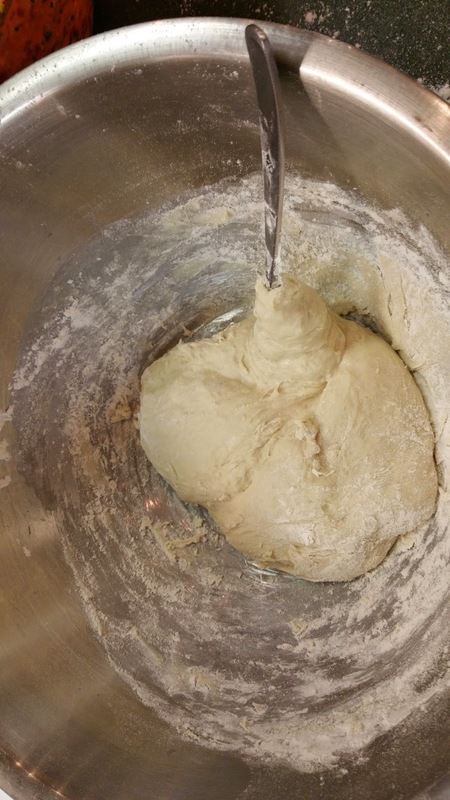 The biggest thing I walked away with last night was in the dough making – when in doubt, always add more flour. When we thought we were done stirring, there was always Janice walking by telling us to “add more flour”. The Kitchen Shoppe is celebrating their 40th anniversary this year – it’s no surprise, this small business located in an out of the way location (101 Shady Ln) is the perfect place to get inspired to try new things. Founder Sue was there last night helping with the class and dishes. Their son and owner Dan was the grill master on the BGE. The owners are wonderful, warm and friendly people who love what they do and they inspire you to enjoy the finer things in life – if you love to experience the joy of cooking or eating – you must eat BGE food and you must tease your senses by shopping or taking a class at Kitchen Shoppe. You can find information on upcoming classes here.